Ryan Hansen is coming to YouTube. Deadline reports YouTube Red has ordered a new TV series with the Veronica Mars star called Ryan Hansen Solves Crimes on Television. From Rawson Marshall, the half-hour comedy “is about an LAPD task force that partners actors with homicide detectives so they can use their “actor skills” to help solve murders.” Guest stars includes Samira Wiley, Joel McHale, Jon Cryer, and Kristen Bell. Ryan Hansen Solves Crimes on Television is set to debut on YouTube this fall. What do you think? 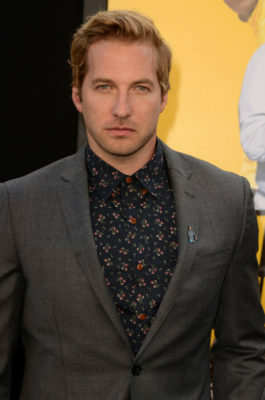 Are you a fan of Ryan Hansen? Will you watch his new YouTube Red series? I just started watching Veronica Mars on the go90 app and I can not believe this show only lasted 3 seasons. It could of lasted at least 7 seasons altogether. I will check out his show because the premise sounds funny.